Zambian leader Michael Sata, a longtime opposition leader who was finally elected president in 2011, died after an illness, the Zambian government said Wednesday. The Cabinet held a meeting to discuss a political transition, which would include elections within 90 days in the southern African nation. 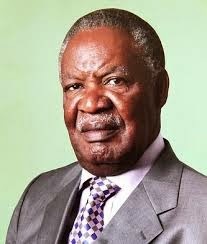 Sata died shortly after 11 p.m. on Tuesday at London's King Edward VII hospital, where he was being treated, Cabinet secretary Roland Msiska said in a statement. Sata's wife, Christine Kaseba, and his son, Mulenga Sata, were at the 77-year-old president's side when he died, Msiska said. Mulenga Sata is the mayor of the Zambian capital, Lusaka. "I urge all of you to remain calm, united and peaceful during this very difficult period," Msiska said in an appeal to Zambians. The Cabinet discussed plans for a political handover, a Zambian official said. The official spoke on condition of anonymity because he is not authorized to speak to the media. Article 38 of the Zambian constitution requires that presidential elections be held within 90 days of the president's death. Defense Minister Edgar Lungu was appointed acting president when Sata traveled to London earlier this month. The vice president is Guy Scott, a white Zambian whose appointment in 2011 caused a stir in Zambia. Scott previously held the post of agriculture minister, and has also worked in Zambia's finance ministry.